"Full-Stack vs. Front-End-Only Business Intelligence Software"
Organizations need a business intelligence solution that combines both back-end and front-end functionality addresses all the requirements and goes beyond front-end only data visualization products, to allow your enterprise to make the most of the current and future business intelligence possibilities. Many organizations lack the tools to transform gold mine of data into business results since they only look at “business intelligence” label on a solution at face value that focus only on data visualization. 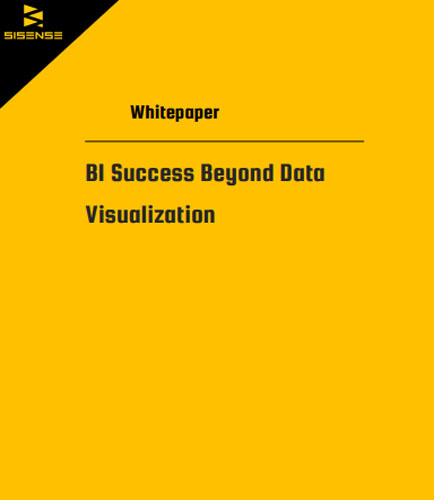 This white paper about “Full-Stack vs. Front-End-Only BI Software” explores the differences in the two approaches of singlestack BI vs. data visualization while highlighting the challenges in performing important BI tasks.